Is there evidence of a joint alien-military plot to control humankind? Has a secret cabal of the planet's movers and shakers made an unholy alliance with extraterrestrials in exchange for alien technology? Go inside Area 51. Learn of the latest developments in Tesla Technology, Free Energy and the Ultra Top-Secret HAARP Project. Learn the mind-blowing truth about the infamous Philadelphia Experiment and how during WW II mankind first discovered the secrets of teleportation and time travel. Discover how Nikola Tesla, a man who was born in the 19th century, discovered the science behind anti-gravity and the Particle Beam Death Ray! Commander X, a former military intelligence operative with insider connections, spills the beans on a variety of top level classified projects generally unknown to the public. It's been said that a truly successful conspiracy requires that no one be able to prove that the conspiracy even exists. The New World Order conspiracy, perhaps the most threatening to the people of the world in general, is just such an example. 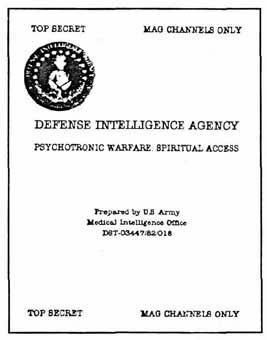 Were it possible to prove that a plan exists to enslave the world with mind control technology and other top secret weapons, the people would rise up in rebellion and effectively quash the whole dastardly affair. The dauntlesss research and writing of the gutsy but anonymous Commander X may be a link in that chain of freedom. Among his numerous books dealing with the reality of the Secret Government, surely one of his best is "Incredible Technologies of the New World Order: UFOs--Tesla--Area 51," in which Commander X makes use of material leaked through the years, either by accident or design, by various government agencies as well as secret insider reports his status as a former military intelligence operative makes him privy to. Throughout the book, Commander X cautions the reader not to be too quick to dismiss his words as the ravings of a crazed fanatic. Like all researchers and writers who study the various conspiracy theories, the inability to prove their allegations results from how well the conspirators cover their tracks. It is all too easy to slip into a comfortable slumber rather than rise up and fight against an enemy you can't quite see but who is nevertheless holding a knife to your throat. Commander X covers all the usual suspects--the Gray aliens, the Nazi scientists who came to work for the CIA and other agencies after WWII, the US and Russian military establishments, the world media machine, the work of genius inventor Nikola Tesla being applied to military purposes--with his usual skill and aplomb. He weaves together a very convincing tapestry of the slowly emerging New World Order and then concludes with a call to arms to the reader, urging that they resist the gradually darkening gloom of the coming One World Government that threatens to take away all vestiges of personal freedom. If there are any complaints to be made about the book, it may be that it should have been edited a little more carefully. There are a few too many misspellings and occasional typos that nearly render a couple of sentences incoherent. But that's a minor quibble when dealing with such vital information, and Commander X's overall command of the facts behnind the scenes more than compensates for any errors in the text. One must ultimately decide for one's self how to view the conspiracy theories centering on the New World Order, but reading this book and others by Commander X will certainly provide enough raw data on the subject to at least make an educated decision. As Commander X warns, there is too much at stake for one to remain simply in ignorant bliss. X. According to the author, there are many things that the government and military are doing behind our back!! HERE IS A REAL INSIDER'S VIEW OF WHATS GOING ON DEEP UNDER THE NEVADA DESERT, INSIDE AREA 51. You can read chapters from the book here!! Heute waren schon 5 visitors (61 hits) hier!